Galileo Asset Managers offers Share portfolio management services to private investors and their families. We help business owners to create portfolios that are not correlated with their existing business or industry. We specialise in working with retired people to ensure that their assets are correctly positioned, so that they are able to retire with peace of mind. We develop investment strategies for our high net worth clients to ensure that their assets are correctly structured. Managing the risk of their investments is usually the biggest role we play as they do not want to take excessive risks with all their capital. Galileo Capital under the guidance of Warren Ingram and Theo Vorster have created the Galileo Next World Portfolio to help you invest in the brands you love. “Rather than just create a portfolio of the world’s most popular brands, we wanted to create a great, long-term portfolio for private investors who love the brands that are changing our World. We felt it was important to find companies that had a good investment case and match them with a quality, low-cost ETF that invests in thousands of companies and bonds across the world. That means investors get a combination of a balanced global portfolio in one ETF combined with 20 great companies that are building our future.” This is certainly not a portfolio filled with stodgy old-world businesses, these are companies that are growing rapidly. If they perform well, returns are likely to be great however the balanced ETF provides a great shock absorber if things don’t work out. The portfolio is especially designed for Millennial savers who want to build an investment portfolio at a low entry cost. The allocation is weighted towards stocks and thus is suitable for long term holdings. Investors would need to open an Easy Equities Account (please see link below) within their USD stockbroking account offering and buy the Galileo Next World Portfolio Bundle. This bundle will only be available to account holders. We help you to simplify your finances, create order and live the life you want. We offer our clients dedicated Wealth Management and Retirement Planning services. We focus on clients who have a minimum of R1 million to invest with us either in retirement funds or in discretionary assets such as shares, unit trusts or overseas investments. We are an independent advice-based practice, which means we are not tied to a specific product supplier. This allows us to offer objective independent advice. We use world-class financial planning solutions that allow our excellent financial planning staff to provide our clients with optimal solutions. We develop tailor-made investment strategies for our clients. Our initial objective is to develop a proper understanding of our client's current financial position and future objectives. We use this information to develop a proper investment strategy that is unique to our client. This strategy includes information on the level of risk that our client needs to take to achieve his or her financial objectives. We use highly advanced planning tools and a consistent, repeatable planning process to ensure that all our clients have proper investment strategies that suit their specific needs. We are an independent advice based firm, which means that we are not product sellers. Our independence allows us to offer objective advice that is right for our client - as we do not belong to a product house; we are not obliged to sell one company's products. Retired individuals: We specialise in working with retired people to ensure that their assets are correctly positioned so that they are able to retire with peace of mind. Entrepreneurs: We help business owners to structure their assets correctly and help them to plan for their future. This includes helping them develop the best structure for the ownership of their assets and the development of an exit strategy. High net worth clients: We develop investment strategies for our high net worth clients to ensure that their assets are correctly structured. Managing the risk of their investments is usually the biggest role we play as they do not want to take excess risk with all their capital. Widows and divorcees: It is our experience that these clients usually require a trusted advisor who can assist them with their financial affairs. Our role is to play the role of financial coach and advisor to ensure that they are able to make proper decisions about their finances. Risk management: We are not insurance specialists, which means that whilst we take into account risks that could affect our clients we often use external specialists to assist our clients when the need arises. These risks include disability, death and sickness. Estate and succession planning: This is a vital aspect of any financial planning, and often involves highly technical tax and legal knowledge. We normally use external specialists where we feel that their services are required. Tax consulting: We are not tax specialists but we do have relationships with various tax experts and will assist our clients in finding the necessary help when required. We use the six step financial planning process as prescribed by the Financial Planning Institute (FPI) in South Africa and the Financial Planning Standards Board - a well recognised, international financial planning board. We establish and define the professional relationship between ourselves and our clients so that each party knows what to expect. We then gather all the necessary information that we need on our client including: current financial position and personal financial goals. We use the information above to analyse our client's financial position. We prepare and present our solution and recommendations. We then implement the plan. Finally, we review and monitor our client's financial position and investment strategy at least annually. Galileo Asset Managers offers share portfolio management services to private investors and their families. We manage portfolios of South African and International shares, all our clients’ assets are housed at stock brokers to ensure that you maintain control of your money. We believe that shares offer the best inflation-beating returns over the long term. We consider equity markets to be fairly efficient, but not always rational. It is our view that only the purchase of attractively priced and well-managed quality businesses will provide sustained capital growth with increasing dividend income. We aim to avoid the risk of permanent loss of capital, nevertheless risk assumption is tailor-made according to our clients’ requirements. We avoid (with some rare exceptions) the practice of timing the market as long term investments in quality businesses are the best risk management strategy of all! We have 3 broad categories of clients who make use of our service, our minimum portfolio size is usually R1m per client. Retired individuals: We manage their portfolios to achieve capital growth while ensuring that they can draw an income as required. Entrepreneurs & Executives: We help business owners to create portfolios that are not correlated with their existing business or industry. High net worth families: We develop investment strategies for our high net worth clients to ensure that their assets are correctly structured. Managing the risk of their investments is usually the biggest role we play as they do not want to take excess risk with all their capital. This service extends to the children who often require their own portfolios, very often as part of their financial education. Investment success entails a marathon not a sprint. As such, we continuously seek to accumulate gains over long periods of time, rather than trying "swing for the fences". We intend to buy robust businesses at reasonable prices and to hold them for the long term. We will tailor-make portfolios to client-specific requirements, taking into account prevailing market conditions. We will charge fair fees for the value provided. We do not charge performance fees, on paper they sound good, in practice this encourages risk-taking. We are not dogmatic about investment style, though we have a bias towards the value style. It is one thing to have conviction, quite another to engage in heroism. We don’t aim to be heroes with your capital. Avoid high turnover, but do make use of tax harvesting (i.e. make use of annual CGT-free allowance). Fashionable investment themes are avoided. At Galileo Capital, we believe in questioning the status quo. 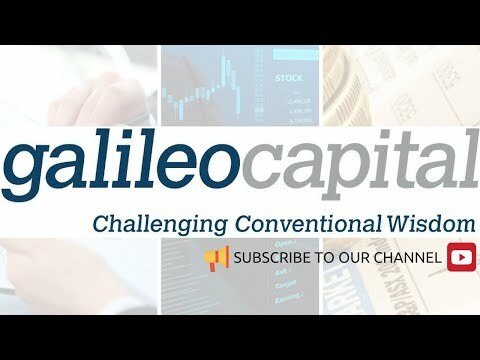 At Galileo Capital, we believe in questioning the status quo. We are continuously investigating new possibilities and striving to find innovative ways to improve on accepted methodologies and conventions. We believe that no system or process is ever perfect - there is always room for improvement. Our aim is to find those solutions that enable us to supply our clients with the best possible products and services. Hence our slogan: Challenging conventional wisdom. Galileo Capital is a Registered Financial Services Provider (FSP), approved and regulated by the Financial Services Board (FSB). Our team consists of highly motivated and qualified professionals with more than 90 years of combined experience in the financial services industry. By pooling our skills, knowledge and experience, we are able to provide superior products and services to our clients. Apart from our head office in Johannesburg, we also have an office in Cape Town. We are committed to maintaining a strong presence in the Western Cape region to continue supporting our valued client base. We believe in giving our valued clients a hands-on, personalised service. In order to fulfil this objective, we have established a physical presence with a dedicated team to service the Western Cape area. Below is a list of news items and the Galileo Capital newsletters. If you click on the links below they will take you to the pages that cover the topics in the links in more detail. Select the year you wish to view newsletters for. Theo and Warren look at what can hurt you over the short term. They also address different scenarios that can impact investors going forward and how to plan around this. This month, Theo and Warren touch on the important points from the Budget. Theo and Warren look at a few opportunities you should look at using if they are relevant to you and your planning. 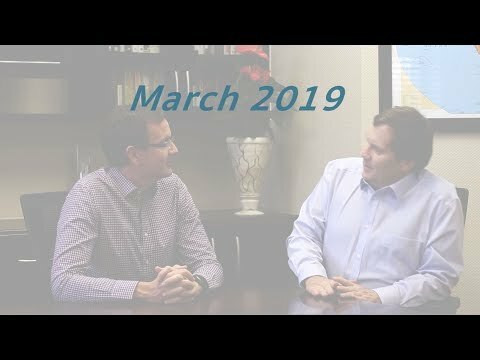 Theo and Warren look back on 2018 and provide financial guidance that supports our current environment. Warren and Monique address some of the questions frequently asked by our clients. 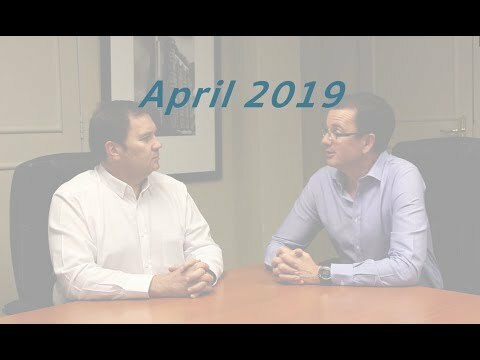 Theo and Warren discuss the best investment solution for issues that are worrying investors in South Africa, in particular Land Reform and political uncertainty. 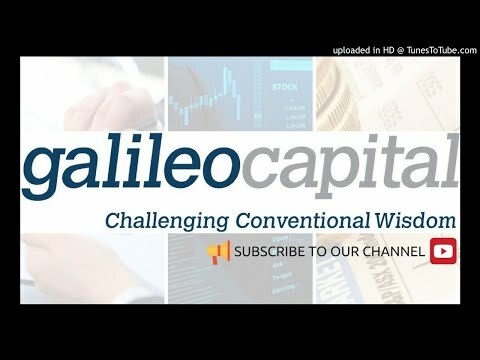 Theo and Warren discuss investor's biggest threat to their capital - inflation. Budget 2018 - How will is impact you? Is Active vs. Passive The Right Debate? What does Bitcoin have to do with tulips and ostrich feathers? What - in the world - are we doing? Do you remember what stock market growth feels like? Doom and gloom abounds: are there investment bargains on the JSE? Will Trump be a Hero or Zero for your offshore investments? Is the Canary alive and singing? 2017 - Let's hope it's better than 2016! Trump, Brexit, Ratings, Elections - enough already! What makes the rand move? What happens if Donald comes up trumps? We are thrilled to announce that Galileo Capital won the award as SA's Top Wealth Manager Boutique and the People's Choice Award. There is a lot of hype about how technology is going to disrupt the financial industry. If we consider the way that Uber and AirBnb have disrupted the taxi and hotel industries, is there a chance that this is happening in financial services too? In the South African context the answer is “yes, no, possibly later”. In the interests of full disclosure, my partners and I are involved in this change and it is slowly gaining momentum. The Brexit vote looms large on Thursday and given the volumes being written and said on the matter bears pre-emptive commentary. Gender stereotypes would dictate that men are better with money (especially investments) and so they should take responsibility for this aspect of the family’s affairs. As with many stereotypes, this thinking is deeply flawed and could cost families a significant amount of money over time. Every year the media reports on numerous investment scams that have blown up and cost investors millions. Many of the big ones are first exposed by Moneyweb and I am surprised by how angry the victims are with the journalist who is essentially helping them. Usually they are angry because they feel the scam-artists are being unfairly victimised. This dynamic clearly changes when reality bites and the investors have no more money. Sadly it seems that the scam artists continue to lure people into their traps with sickening regularity. Here are some pointers to help you identify when someone might be trying to scam you. Having recently watched the much hyped cage-fighter, Conor McGregor, lose to a really average, heavier opponent, I was once again struck by the similarities between professional sport (in this instance fighting) and investments. Market mayhem: where to from here? We were very disappointed with President Zuma's firing Minister Nene and replacing him with an unknown party loyalist, now Minister David van Rooyen. As no plausible reasons were provided for the axing of Minister Nene, we are left no choice but to deduce that this was to further Zuma's own interests, and not done in the best interest of the country or our economy. It is a reality that money skills are really not properly taught at school. Parents who want their children to be savvy about money matters should make this part of the lessons they teach their children at home. It is a harsh reality that nearly half of all marriages end in divorce. Aside from the enormous emotional toll, divorce is one of the most financially damaging events that can happen to an individual. It is an incredibly expensive process, especially if the divorce is acrimonious. The emotional impact often causes people to make poor financial decisions that have a lasting effect on their finances. Do you have that sinking feeling in your stomach that the markets, the economy and the rand are on a slippery slope to nowhere? It would be perfectly natural to feel that way, especially if you believe the more extreme commentary from some of the “experts” quoted in the media. However, your job as an investor is to protect yourself from many risks, not just market and currency volatility. Money is such an important part of modern life that it is surprising how little we know about the workings of money. This article provides pointers that are worth knowing. In the last 18 months we have had numerous conversations with some of our clients about the rand, the future of SA and emerging markets in general. It is our view that the rand is particularly weak at these levels and we do not advise our clients to make large offshore transfers in one tranche. Needless to say this has been a difficult position to explain over the last year as the rand has continued to weaken. Indeed some o f our clients have asked whether we are living in the same country when we explain that we believe the rand will strengthen again. Jul 2015 - Moneyweb : Wondering if your Advisor is clueless? Do you make use of a financial advisor and have you ever wondered if your advisor knows less about investments that you do? You might be right. While there are some brilliant financial planners in South Africa, there are many brokers working for large businesses who probably know less than you do. June 2015 - Moneyweb: Want to retire early? I have had the privilege of working with many retirees over the last 19 years. A large number of whom retired successfully and far younger than age 65. It has been interesting to note how many of the people who retired early have some common characteristics. If you want to be financially free as early as possible, it might help you to know what they had in common. The rocky stock market combined with a falling rand and poor economic outlook is a real cause for concern. You currently have many good reasons to review your portfolio. However you should think carefully before making wholesale changes, especially if you are considering “all-in” decisions i.e. sell everything and move to cash or send it all overseas. History proves that volatile investment conditions are often good times to move slowly and sometimes your best course of action is to do nothing. The investment world can often be made to seem complex and overwhelming. Here are a few simple questions to ask yourself about your investments to determine if you are on the right track. Early in March, Warren Buffett's annual letter to Berkshire Hathaway shareholders was published. We regard this newsletter as a must-read, especially for the principles and lessons it contains. Mar 2015 - Sunday Times: So you think offshore is best? Many South African investors are moving their money out of the country as quickly as they can in the belief that the rand is on a slide to oblivion. This behaviour is partly rational as the actions of government, the hostile labour environment and the raft of proposed anti-business legislation is certainly frightening to investors who might conclude that their capital would be more appreciated and rewarded elsewhere. The flow of money into index tracking investments around the world shows that investors have realised the merits of this form of investing. One of the biggest problems in the investment industry is the propensity for investors to chase the most recent best performing investment. People tend to believe that a fund that was number one in the rankings last year will again repeat the feat in the next year. Sadly, this type of decision-making costs investors about half their potential growth over the long term. Note from Theo and Warren: All the best for 2015! Any novice investor who likes the idea of investing in property should always start with the listed property sector on the stock exchange. I have always preferred listed property to residential property as an investment. This irritates the estate agents who love to promote the benefits of home ownership but when it comes to a pure investment decision, I think listed property wins every time. With the advent of the Tax Free Savings Account (TSA) the brainchild of SA Revenue Service, investors should consider using this asset class to derive the maximum benefit from the TSA. I never give investment tips to people nor do I like to predict what investment is going to be the best in the year ahead, so this is a rather unusual step for me. I am going to give you the best investment tip you are likely to receive in 2015. Note from Theo and Warren: SURPRISE - THE MARKET DROPPED! The low interest rate environment coupled with a stock market that is trading at very high index levels is causing great anxiety for retired investors who need to generate an income from their investments. Unfortunately, this is also an environment that is good for scammers who offer solutions such as guaranteed income or capital with very high growth rates. Those who have never been conned by an investment scam are always amazed by the apparent stupidity of people who have lost their money in a swindle. The victims of these scams often suffer enormous guilt and embarrassment in addition to their financial losses and sometimes this cocktail of emotions has tragic consequences. Any person with money should use these pointers to help identify a potential investment scam. If you are an investor in a money market unit trust, it is very likely that you are not willing to take risk with your money. You are probably looking for a safe place to earn interest on your capital. If you were invested in a money market fund and you have recently lost money because your “safe” fund invested in African Bank (ABIL), then I guess you have realised your “safe” investment is not really that safe after all. Every July I revisit a lady (let’s call her Julia) who started her investments as a 26 year old in 2007. She used a simple investment plan that I developed for her and began with a lump sum of R60,000 and agreed that she would save 33% of her salary every month because she wanted to be financially independent by the time she was 40. It was clear from the first moment of our conversation, that she was serious about her goal and she was prepared to prioritise this goal above some others. When the stock market is booming and your shares are increasing in value all the time, how often do you revisit the balance between your shares, bonds, property and cash investments? If you last reviewed this mix more than two years ago, it is time for a check-up…quickly! If you know only one thing about creating wealth, I hope that you know to spend less than you earn every month and that you must save as much as possible. I assume this is obvious, but it is important to understand that saving is a habit and a way of thinking. This is one of a few habits that wealthy people have in common that sets them apart from the rest of the world. May 2014 visit to Berkshire Hathaway's "Woodstock for Capitalists"
Increased longevity, difficult economic conditions, unexpected health problems and poor investment planning are some of the main reasons why people are forced to live compromised lives in retirement. Take action now to ensure that you are not one of the unhappy statistics. Apr 2014 - Sunday Times: Are Blue Chip shares safe as Houses? Whenever people talk about investing in shares, they typically refer to large companies as “safe” and smaller companies as more risky. While it is true that large companies are less likely to disappear overnight, it would be a mistake to think that they are not risky. The recent collapse of the Pinnacle Holdings share price as a result of the announcement of the arrest of one of the Executive Directors for corruption, has inadvertently shown some glaring holes in South Africa’s corporate governance culture. I am not a shareholder of Pinnacle but I think the shareholders have a right to be furious with management, the JSE and all the Corporate Governance “gurus” that are responsible for this situation. In 1999 the stock market increased in value by 71% but it still had a period where it actually lost 8% during the year. In every one of the last 15 years, the JSE has experienced periods where it lost money during the year. Share investors really should expect losses even in years when the market goes up. It is part of the normal market cycle and is certainly no cause for panic. It is important to establish the correct expectations about your potential growth from shares every year so that you do not receive any nasty surprises. Sometimes in life we are lucky or skillful enough to place our money in an investment that performs so well that it exceeds our wildest expectations. While this good fortune might sound like a blessing, it does create some issues that have to be carefully managed to prevent this investment from taking over your life. South Africans, especially those who travel and import goods for a living, are watching the fall of the rand with absolute dismay. There is a natural tendency to assume that this trend will continue in one direction forever. In addition, one can be forgiven for believing that this is a South African phenomenon caused by our interesting political situation and labour issues. This type of thinking can often create its own momentum and become a self-fulfilling prophecy which is dangerous to your investment decision-making. In my career as a Wealth Manager and public speaker, I have spoken to thousands of people about their money. I am always reminded during these conversations about the one factor that differentiates the financially successful people from those who are struggling – it comes down to the person’s attitude towards money. Successful people approach money in a fundamentally different way from those who have money troubles. Here are some of the major areas of difference. Every year participants in the investment industry (including the financial media) engage in a rather entertaining but ultimately useless game of predicting where the markets are going in the next 12 months. People choose their favourite shares and unit trusts, tell us where the rand is going and what the markets are going to do. Most serious investors treat these predictions as a bit of fun, but other people treat these predictions (forecasts) more seriously and use them to make long term investment decisions. As an example, our stock markets are ultimately very reliant on the predictions of economists whose forecasts are used by analysts and fund managers when they develop their financial models. This is where the problems start. As the stock market maintains the excellent rate of growth that started in 2009, some investors are starting to question whether there are inherent dangers in their indexed investments. Many critics of index investing claim that it is worth paying a fund manager when the stock market is expensive as the fund manager should select assets that will not fall as much as the index in the event of a market crash. This is a topic that is very relevant to us as many of our clients have a significant exposure to indexed investments. Many investors (and their financial advisors) choose to outsource control of their investments to fund managers of flexible or balanced funds. The belief (or hope) is that the fund manager has a better insight into the future than the rest of us. Frankly, I think these investors (and their advisors) are making a big mistake. In this article you will find some pointers to help you make smart financial decisions during retirement; these have been gathered over the last 20 years from successfully retired individuals in South Africa and the USA. The stellar performance of the JSE over the last two years is creating understandable anxiety about a potential market crash. At the same time, it is also luring some investors into dangerous territory as they start to follow funds and shares that have already performed brilliantly in the hope that this performance will continue. As history has repeatedly taught us, chasing performance is a sure-fire way to lose money in the long-term. Forget wind power – use child power! I was struggling for ideas for my September column so I asked people (via Twitter) what Personal Finance issues they were most interested in. Investing in Exchange Traded Funds (ETF’s) was the clear favourite so I decided it was time to review this topic. I also wanted to see whether the unit trust industry has finally started catching up to ETF’s by offering low-cost, indexed unit trusts. I am happy to report that that there are some great, low cost indexed unit trusts that are giving the ETF industry a run for its money, especially for smaller monthly debit orders. Online shrinks – are they effective? With low interest rates likely to remain for the forseeable future and stock market volatility plaguing investors around the world, many retirees are struggling to generate sustainable income from their investments. This article contains some pointers to help you make safe decisions about your income. Galileo Capital is proud to announce that Warren Ingram won the Media award from the Financial Planning Institute (FPI) at its annual Convention last night. This is the second award that Warren has received from the FPI as he was pronounced Financial Planner of the Year in 2011. May 2013 - Moneyweb : What to do if you win the Lotto? Over the last few weeks there have been some big winners in the national lottery with two lucky people sharing a jackpot of nearly R60m. I have met a few lotto winners over the years and most of them have sad stories to tell about their “good forutne”. In the USA, nearly 70% of the people who win massive lotteries are broke within 7 years and I expect South African winners have the same experience. Sadly, there are real risks involved in winning the big one. Suicides, murders, drug addiction and divorces are common themes in the stories of these previously ordinary people whose lives were ruined by big jackpots. So my first piece of advice to a big winner is, DON’T TELL PEOPLE! South Africans have a fixation on residential property because we are told from a young age that we have to own a home. So, when we start work we duly buy a home and embark on our lifelong property adventure. As we grow older and have children, we buy a bigger house with a larger mortgage. This carries on until we retire and decide to look for a smaller home – hopefully this time without the need for a mortgage. Many of us never stop to question whether there is a better way to use our money. “Woodstock for Capitalists” is what Warren Buffett calls the annual chat that he and Charlie Munger have with the Berkshire Hathaway shareholders. And it’s astounding to think that 35 000 people went to Omaha in the US recently to listen to 82-year-old Buffett and 89-year-old Munger – more so when you consider that these two guys have been partners for 54 years in the fifth biggest company in the world – Berkshire Hathaway, a pure investment company. The pair answered questions for six hours, ranging from the state of the world economy, to investment strategies, to advice for business success. It’s impossible to sum up a six-hour session in a few pages. Instead I’ll try to highlight a few of their main points in order to demonstrate the logic of these two investment icons. To present this summary in a sensible way, I’ve divided the discussion into themes and looked at selected points under each. Note that this is in no way a complete summary, and I have put it together by combining several sources. As a close observer of the unit trust industry for nearly 20 years, I still struggle to find a balance between my faith in unit trusts as investments and my cynicism about product providers. For instance, I really have to try not to laugh when I meet new product providers who promise (with a straight face) that they will provide great service and fantastic returns at low costs, all in the best interests of the investor of course. I think some of them actually believe their own stories, which makes it even harder for me to keep a straight face because we all know that their first priority is to generate profits for themselves. Here are some examples of how these product providers deal with unsuspecting retail investors. Money is an integral part of modern living and children who grow up understanding money will have a real advantage in life. It is up to parents to teach their children about money and this should start at an early age, as our values around money are established at a very young age. So it is important to start teaching your children good money habits from the moment they can speak because it will be nearly impossible for them to change these habits when they are parents themselves. The starting point to becoming wealthy is that you have to spend less than you earn. More importantly you have to do this every month of every year so that you are accumulating capital on a yearly basis. It seems rather obvious and is definitely common sense but it is very difficult for most people to do this over their lifetimes. That is why so few people are able to retire in a comfortable financial position. Here are some real-world tips on how to save your money from people who have succeeded in retiring well. Every year I get asked to make a range of predictions including: what will the Rand do, how will the JSE perform, will the residential property market recover and what will happen to the overseas markets? Without fail, I try to explain that any prediction - irrespective of who makes it - is largely worthless. After I have explained why, some people look at me with a quizzical expression and promptly ask me to “guess anyway”. If we look at what happened in 2012 as an example – hopefully we can see why investment predictions are a waste of time. Should we be Gloomy Investors? Trying to determine whether the JSE is expensive, what is happening to resources, where the rand is going and what further damage politicians will do to our markets is an impossible task. Many investors (and their financial advisors) choose to outsource control of their investments to fund managers of flexible or balanced funds. The belief (or hope) is that the fund manager has a better insight into the future than the rest of us. Frankly, I think these investors (and their advisors) are making a big mistake. Politics: IF SA were a listed share, would it be time to sell? Sept 2012 - Moneyweb : Unit Trusts Best option for Investors? Those of you who have read my articles in the past will know that I am an avid fan of the unit trust industry, especially when compared to life assurance investments. For investors who do not want to select their own shares or ETF’s, there are few better options than a well-managed, low cost unit trust. Upfront costs on traditional Retirement Annuities (RA’s) are still too high. Anyone who is buying an RA from a life assurance company needs to be very careful before taking the leap. In most cases, it will be far cheaper to use an RA from a unit trust company where your fees are transparent and charged on an on-going basis rather than taken upfront. Welcome to our latest newsletter – we hope you like the new format! We’ve taken a few months to rethink it and develop some new content after receiving some valuable feedback from you. As a group of companies, Galileo continues to flourish despite the difficult economic conditions, and that’s thanks to your valuable support. In fact, in the last year we’ve more than doubled our staff complement as we strive to improve our service levels and expand the range of services we offer. Watch this space – we have some exciting new developments in the pipeline. And, of course, feel free to forward this newsletter to your friends and family and contact us if you have any questions or feedback to offer. July 2012 - Moneyweb : Why so gloomy? Over the last few months, I have noticed how private individuals are becoming increasingly gloomy about their investments and the outlook for stock markets in the near future. One can understand how political uncertainty in South Africa and economic woes in Europe can be worrying for anyone. What should rational investors do in this climate and are there good reasons to be balanced in your investment outlook? As a proud financial planner, one of the few things that makes me squirm in embarassment about my industry is life assurance. Life assurance is necessary and could prove invaluable if the worst happens to someone but I believe that clients of life assurers are not treated fairly in South Africa. I am hoping that new legislation and new entrants to the market will tip the scales again in the next few years. Fact - as you trade shares more frequently, so your chances of losing money increase. As a group, those individuals who don’t trade their shares frequently outperform active traders by nearly 33% per year over extended periods of time. It is estimated that there is more than R44 billion saved in stokvels around South Africa. Stokvels are a way for people to pool their money together with the objective of saving for the mutual benefit of all in the group. Predicting disaster: On 11 May 2000, The Economist Magazine’s cover story was, “The Hopeless Continent” which focussed on Africa’s Woes and given the respect that people accord the publication, it was damaging. “Simply Group”: In this section of our newsletter we profile one of our existing clients. Growing and changing: Over the last six months, our company has continued to expand in terms of numbers of clients, staff and geographical representation. May 2012 - Moneyweb Article : What to do with Holiday House? Holiday houses rarely prove to be dream investments and often become a burden and source of frustration to their owners. With the sad state of the property market, there is little point in selling this investment so here is an idea to get some benefit from a problematic asset. Retirees are really struggling to find good, income-generating investments because interest rates are so low at the moment. This is creating an opportunity for unscrupulous product providers (also known as criminals) to offer investments with “fantastic returns at low risk”. April 2012 - Moneyweb Article : Why invest offshore? Many top fund managers and market commentators are urging South African investors to invest more money overseas because the offshore markets are “cheaper” and therefore offer potentially better returns than the JSE. One cannot argue that some offshore markets are cheap but this does not mean the returns for SA investors will be better if they invest offshore. A stock broking account can be used to create a complete, diversified portfolio for any investor’s requirements. In order to construct this portfolio, you need to know how asset classes perform so that you have the appropriate expectations when starting out. The recent budget speech by Finance Minister Pravin Gordhan was a master class in tightrope walking. He was under enormous pressure to reduce the country’s budget deficit whilst finding money to increase infrastructure spending. The budget held two unpleasant surprises for equity investors and those who invest in businesses in South Africa. The real impact of these surprises will likely be felt long after our current crop of politicians have retired, but my feeling is that they are going to be detrimental to our country in the long term. Every few years, a new or an existing life assurance company goes on a drive to increase market share by poaching sales staff from competitors and launching “new” products. Unfortunately, these events are not that good for the end consumers; in fact they are the ones that usually suffer. Feb 2012 - Moneyweb Article : The perfect portfolio? Many South Africans love physical property as an investment. Personally, this fixation has always fascinated me as I wonder if these property investors know what they are missing by ignoring the other major investment types available to them. Jan 2012 - Finweek Article : How much is enough for Retirement? People often ask me to help them figure out how much capital they need in order to retire comfortably. Each of us have different goals and lifestyle costs so there is no magic formula that will work for everyone but here are some guidelines that might help. At the start of every year it makes sense to review what has happened with your finances in the last year and to make your plans for the year ahead. After a particularly difficult year like 2011, many of us might be tempted to ignore our finances in the hope that things will get better before we look at them again. I believe that 2012 is likely to be another very difficult year in the investment markets. This is going to make financial planners’ lives very difficult as more investors become disillusioned with their savings and investments. I am regularly asked how people should start investing in the stock market. There are many different ways to be a share investor however, for novice investors, I believe the best way to start a portfolio is to use a combination of individual shares and indexed investments. The volatility that we have seen on the JSE (and other international markets) over the last 12 months has been very unsettling for investors. Most people are gloomy about the markets despite the fact that the JSE has returned nearly 10% over the last year. I have been a staunch advocate of Exchange Traded Funds (ETF’s) from the launch of the first ETF in November 2000. Since then, many new indexed products have been launched and various companies have created new options for purchasing these investments. Ryk van Niekerk recently wrote about his experience of retirement planning when he left his previous employer to join Moneyweb. His frustration with independent advisors and the regulation of retirement investments was pretty obvious to all. I cannot count the number of investment books, articles and publications that I have read since I started financial planning in 1996. In that time I have read a few great books that I believe everyone with an interest in money should read. I was recently asked by a student why it is so important to spend so much time and energy on savings and investments when it seems like investors get no reward for their efforts. The point was made that people derive pleasure from spending on holidays, clothes, cars and entertainment, so why invest? In recent times the RSA Retail Savings Bonds (RSA’s) have been tweaked by Treasury to offer more flexibility for investors. I have subsequently received emails from investors asking me which option is best: fixed interest rate or inflation linked interest rate. Every year I receive hundreds of emails from people who have bought a software programme that will supposedly enable them to make money trading foreign exchange (Forex), shares or derivatives. These people have realised that it is not as easy to make money as they were led to believe and they would like my opinion on the matter. I have been away recently so I missed much of the recent market turmoil and the resulting press coverage. This means I did not agonise through the massive fluctuations we have seen recently. I have however, spent some time catching up on the press coverage of the turmoil, which would have been comical had it not been about such a serious topic. The basic principles of investing in the stock market are very simple however; it is very difficult for people to implement these principles consistently over time. That is why so many people think the stock market is only a good place to lose money. For more than 15 years, I have been criticising the life assurance industry in South Africa for only paying advisors an upfront commission for life assurance products. I have always felt that this method of payment was not in the clients’ best interest and it would be better for advisors to earn on a pay-as-you-go basis. Jul 2011 - Moneyweb Article : Happy to pay commission? In my last article on Moneyweb, we did a poll asking whether readers would prefer to pay commission or ongoing advice fees for financial products. The results of that poll and my own Twitter poll were fascinating and were contradictory to the drive by regulators around the world to change the way financial advisors are paid. Jun 2011 - Moneyweb Article : How much to save for Retirement? How much should you save if you want to retire with enough money? A new study is challenging the conventional wisdom that rules much of the thinking about retirement planning in South Africa. Jun 2011 - Moneyweb Article : What makes a great advisor? I cannot recall the number of debates I have had with private investors, fund managers and stock brokers over the last 16 years about market timing. Despite the vast amount of evidence to the contrary, there are still large groups of investors of all types who think that it is possible to time the markets. The theory behind successful investing is simple to understand but not easy to implement. If you are going to be a successful investor over the long term, you will have to develop the ability to ignore the noise (or hysteria) created by the financial media. Thousands of investors have been severely affected by the recent collapse of various property syndications around South Africa. Whenever something like this happens, people always want to know how this could have happened and who is responsible. We all love a good prediction; whether it be about sport results, the end of the world or the price of gold. If you can make a good prediction, you will get people to listen to you. LISTED PROPERTY – where to now? The life assurance industry in SA is ripe for a shakeup similar to the way Capitec is transforming the banking industry. Despite all the efforts of the regulators through legislation like the Consumer Protection Act, the life assurance industry is carrying on as they have always done with opaque products, exorbitant costs and flawed remuneration models. Apr 2011 - Moneyweb Article : Are small caps worth a look? Many share investors are ignoring the investment potential of small companies listed on the JSE. In the last 3 years, they have had a very difficult time and have been outperformed by the larger companies. Mar 2011 - Moneyweb Article : Listed Property where to now? I was recently part of a series of panel discussions on the merits of property as an investment class for South Africa’s major auction house. As the lone opponent of property on a panel of listed property specialists, I hope I did the equity market justice however, the debates did provide some great food for thought. Mar 2011 - Moneyweb Article : Why use an advisor? I recently received an email from an irate reader wanting to know why anyone would use an advisor when making financial decisions. There are many who feel the same as he does however there are millions of people worldwide who make extensive use of advisors. Shares are the best asset class for generating long term capital growth. Over the last 50 years, shares have grown by 8% per year above inflation while all the other asset classes; including residential property, cash and bonds have provided much less growth (1% - 2.5%) per year above inflation. I feel that there are very few fund managers who have the ability to beat the market over the long term. However there is a massive asset management industry which generates hundreds of millions in profits on an annual basis attempting to do just that. I often receive emails from people asking me for more information on a fund or fund manager that I have mentioned in a previous article. Most recently, many readers have been asking for more information about the Foord International Trust (FIT) after I mentioned Foord and their excellent investment track record. If you want to start your own business, it is worth spending some time understanding what differentiates a great business from an average one. So many businesses do not achieve their full potential because the founder does not take time to work on the business i.e. developing an operations system, succession plan etc. There is no doubt that any investor, who needs to commit capital to new investments in 2011, is facing a bewildering array of questions that need to be answered: local or international markets?, are equities expensive?, avoid bonds?, pay off debt? Here are some guidelines to help with those decisions. At the start of every year it makes sense to revisit your finances to ensure that you are still doing the best you can with your money. This is a guide to some of the issues you should be considering in the year ahead. Most of us already know that the earlier we start saving the better for our long term wealth. However there are enormous advantages to planning how you save and spend your money. Stock markets are always changing and always moving. At any one time, there are many punters (otherwise known as market experts) telling us why the market is going to crash and many others telling us why it is going to fly. Dec 2010 - FHM Article : Pay off your bond or invest? Conventional wisdom dictates that it is always better to pay off your debt before you start investing money. So, if you have a home loan, this means you should pay off your mortgage before starting an investment account. If you are a business owner or want to start one, it is worth spending time understanding what makes a great business. There are two great books that should be compulsory reading for potential and existing entrepreneurs. By any reasonable measure, the stock market is starting to become expensive and we may be getting into dangerous territory for new investors. This poses some issues for someone with new cash to invest in the JSE – what should you do with your money now? Any regular reader of my articles will know that I am not a fan of residential property. I think residential property is a poor investment and should be treated as a lifestyle asset (like you would treat a Ferrari). In that light, I have a confession – my wife and I are in the process of buying a home. Banks and insurance companies love selling investment products that offer a capital guarantee. They are easy to sell because investors get a warm fuzzy feeling that their capital is safe and growing. Afternoon Naps Make You Smarter! If you are going to invest in shares in an attempt to generate long term capital growth, you need to understand how this growth can be created. There are three main components to capital growth from shares: inflation growth, share price appreciation and re-investing dividends. Most investors don’t fully appreciate the massive impact that dividends have on real capital growth. Strange as it may seem, having money is stressful. When you don’t have money your greatest concern is how to pay the bills at month end. Whilst this is a tough situation, most people manage to survive this stage of life relatively unscathed. As you get older and start accumulating assets, your fears multiply. Sep 2010 - Moneyweb Article : Retirees - what now? Retired investors have been severely affected by the stock market roller coaster over the last two years. In addition to the significant drops that we saw in 2008/9, we are now seeing massive changes of direction on a weekly basis. Sep 2010 - Moneyweb Article : Retired investors what now? Any private investor who is new to the world of share investing has a range of investment options that can be a little intimidating. As a starting point, an investor can choose individual shares or ETF’s which consist of a number of different underlying shares. Most investors don’t understand risk. This was clearly illustrated during the financial crisis of 2008/9 when financial institutions and private investors alike were devastated by losses during the market crash. Any person attempting to beat inflation, is going to experience losses during an investment career. Aug 2010 - FHM Article : Changing your career? Our experience as advisors to financially successful people has given us rare insights into their career choices. Many successful people did not start out in the careers where they eventually made their mark, it often required one or two career changes before they found their way. The stock markets are going through an extended period of volatility or turbulence that is causing enormous uncertainty for investors. Those who do not have the necessary tools to navigate this turbulence are struggling and losing money as a result. Questions most frequently asked of professional investors include; “what is the rand going to do?” or “where are the markets going?” and “should I switch my investments to cash because I don’t want to lose money?”. We would all like to know what is going to happen to our investments, however there are very few good answers to these questions. Retirement annuities (RA’s) are the insurance salesman’s best friend. He can earn a good commission off a relatively small monthly investment whilst you end up paying off his commission over a few years before you actually benefit. I received many emails after my last article requesting more information about ETF’s. Most of the people were asking for recommendations about which ETF’s to use and how to invest in these products. It is simple but not easy to make R1million from investing, all you need is: R5,000 per month, some patience and discipline. Starting your first investment can be a little intimidating, there are so many opportunities to lose money or get ripped off. At the same time, you know that it is a good idea to save but you have so many things to do with your money. Jun 2010- Moneyweb Article: Are retirement annuities worthwhile? It is almost unknown for a financial planner in South Africa to deride Retirement Annuities (RA’s) even though insurance agents have used them to swindle investors for many decades. So, any article about RA’s is likely to draw criticism based on valid past experience even if the products themselves have changed. This article is an attempt to provide a balanced view of RA’s as they are an important part of the personal finance landscape in SA. This is the second article I am writing aimed at younger investors in response to their requests. This one deals with my least favourite aspect of financial planning...life assurance. I am proud to say I have never sold a life policy and I generally despise South African life assurance companies however, there are times when you need their products. One of the eternal debates in the personal finance arena is whether you should buy your home or rent one. The intuitive response to this question is almost always the same – buy the home! However the issue is not as simple as it seems. Over the last few weeks I have received numerous emails from people asking me to write articles about how younger people should be investing. This article is my first response and provides some general guidelines for your investment decisions. The theory behind successful investing is simple to understand but not easy to implement. In this series of articles which will be published every three months, I will try to give you some of the tools required to make good investment decisions. Jun 2010 - FHM Article : Why buy a home? We are all told that it is a good idea to own your home rather than rent one. Intuitively, it makes sense not to pay off your landlord’s bond however, this may not be the most sensible thing to do. May 2010 - Moneyweb Article : What now? The global markets are being unsettled by the PIGS in Europe despite the ongoing recovery of the US economy. US retail investors are in a difficult position with their investments - bonds are likely to lose money as interest rates will rise in future, equities have already done well and cash is offering negligible returns. May 2010- Moneyweb Article: Looking for income from investments? Retired cash investors are suffering because of the low interest rate environment and are searching for better returns. Low interest rates are good for people with debt but investors who have large amounts of cash are getting minimal returns on their asset. March is the month when most unit trust companies give presentations to financial advisors about the markets and their funds. I try to attend a few of them to get an idea of the investment themes for the year ahead and to laugh at some of their prophecies (what they call forecasts). Inflation is the second greatest danger to long term savings, only stupidity is more dangerous. Unfortunately, one cannot manage stupidity (ask any manager of politicians) but you can manage inflation. We all know that economics is a flawed academic discipline. Many of us like to mock economists and their inability to make accurate forecasts about anything. Unfortunately many of us don’t realise how much policymakers rely on defective economic theory to steer the global economy. Whilst watching rugby on TV with some friends recently, I was reminded of the similarity between investing and sport. Mistakes made by sportspeople and fund managers are always easy for outsiders to spot whilst their successes are more difficult to appreciate. After more than a decade of advising retired people on their investments I have always been surprised at how dissimilar the successful people are and how difficult it would have been to predict their success at the start of their careers. People who never finished school have retired comfortably at 55 after a great career while there are many retirees who would be expected to succeed (e.g. doctors or lawyers)but have retired relatively poor and dissatisfied. Feb 2010 - Moneyweb Article : Trader or long term investor? One of the great debates in the investment industry is around the benefits of long term investing vs. short term trading. In the one camp you have investors like Warren Buffett as one of the champion long termers and George Soros in the opposing camp. One of the questions investors are asking most frequently is how long the stock market can continue to grow after the crash of 2008/9. Some people are concerned that our stock market cannot increase continuously and perhaps it may drop back the low levels seen in March 2009. Jan 2010 - Moneyweb Article : Got any offshore investments? By any measure, South African investors who bought overseas shares 10 years ago have lost a bundle. By contrast the local market has performed well over that time, this has caused these investors to reconsider their overseas investments. Retirement Planning – How bad was 2008 for your retirement plans? Economic news – What is happening in the world? Are your friends unhappy with their advisors? The sky is falling on our heads! Bailouts and financial crises – what does it mean for you? Is SA the next Zimbabwe? How much should you invest overseas? Direct vs. broker insurance – is there really a difference? Economics: Have the interest rate hikes reduced consumer spending? Stock market: How much longer can it continue? Politics: Will the Presidential succession race impact our markets? Below are links to recorded media. Clicking on any video preview image will play the media. Theo is the Chief Executive Officer of Galileo Capital and has been in the financial services industry since 1989. Most recently Theo was the Managing Director of the largest private client stock broking firm in South Africa. Theo is a regular market commentator on Moneywebs radio broadcasts on RSG. Warren is an Executive Director of Galileo Capital and is responsible for our wealth management and retirement planning services. He has been in the private client financial services industry since 1996 and was most recently employed by HSBC Bank (Plc) in South Africa where he was responsible for their Wealth Management division. Robert is an executive director responsible for all activities of Galileo Capital in the Western Cape. Robert has 23 years of retail and corporate banking experience. He served in all divisions of retail banking. His corporate banking experience started in the primary capital market division and he then moved to treasury where he actively traded and also served as treasurer. Yolande is the Head of our Wealth Management division. She joined Galileo Capital in 2006 and is a CERTIFIED FINANCIAL PLANNER® professional. She has been in the financial services industry since 2002 and prior to this, practised as a pharmacist. Pragnesh is the CEO of Galileo Asset Managers. He has an engineering and finance education and work experience background, and is also a CFA Charterholder. He has spent 20 years in Banking, initially at Citibank South Africa, followed thereafter by a long stint at Nedbank South Africa. Pragnesh’s last job at Nedbank was as Head of Credit for their Retail and Business Bank Division. He has extensive work experience in product management, operations management, credit and risk management and investment management. He follows financial markets avidly in addition to balancing his time with Family, Spirituality and Indian music. Warwick is the Chief Investment Officer of Galileo Asset Managers. After graduating from Wits University as an Industrial Engineer and after working as an engineer, he went into the investment industry. He has experience as an investment professional since 1996, predominantly as both research analyst and portfolio manager at stockbrokers BoE and ImaraSPReid. His creative and critical thinking, combined with a large dose of pragmatism, has made him a popular market commentator on TV and in the press. Salutation Mr. Ms. Miss Mrs. Dr. Prof. Rev.